Chicago, the wait is over. I am not talking about Derrick Rose’s 43rd return from injury, nor the start of the 107th season since the Cubs won anything worthwhile, nor the debut of the “new” Jay Cutler who I am sure will throw just as many interceptions as the “old” Jay Cutler. 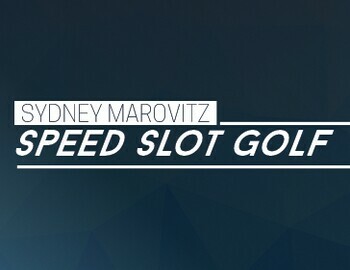 I am talking about Speed Slot at Sydney Marovitz. Mondays through Thursdays come play 9 holes before 7:30am for only $15, or $20 if you want to ride!!! I know, you’re thinking what’s the catch? No, all the sprinklers will NOT still be on. Seriously, all we ask is that you play in less than 2 hours. That’s it. Come enjoy the sunrise over Lake Michigan and a quick 9 before your day begins. Sounds like fun, right? It is, call to book your tee time today!